Suidobashi (水道橋) is a loosely defined section in Chiyoda City and Bunkyo City to the north of the Imperial Place where drinking water for central Tokyo once crossed over the Kandagawa River. Its name literally means aqueduct bridge. 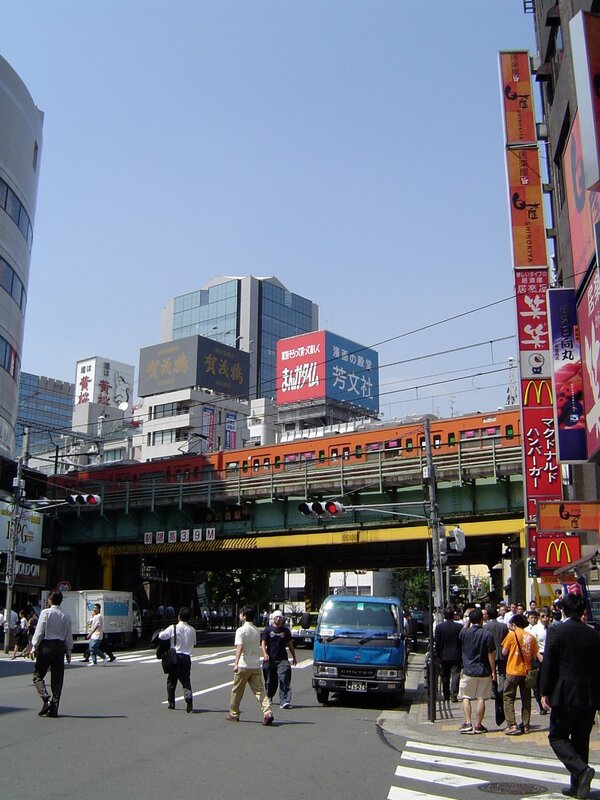 Today, JR's Suidobashi Station is located in the general area where the bridge once stood. Attractions north of the train lines in Bunkyo City include Tokyo Dome, Tokyo Dome City, LaQua, the Bunkyo-ku Ward Office and the Koishikawa Korakuen Gardens. South of the train lines in Chiyoda City is a major business district. A number of universities and colleges are located in the area. The new attractions built around Tokyo Dome as part of the Tokyo Dome City have helped draw people out to this part of the city even when there isn't a big concert on or baseball game at Tokyo Dome. The JR train lines run east and west beside the Kandagawa River in this area. The river isn't very scenic but spotting the monstrous carp that live in it makes peering down into it worthwhile. 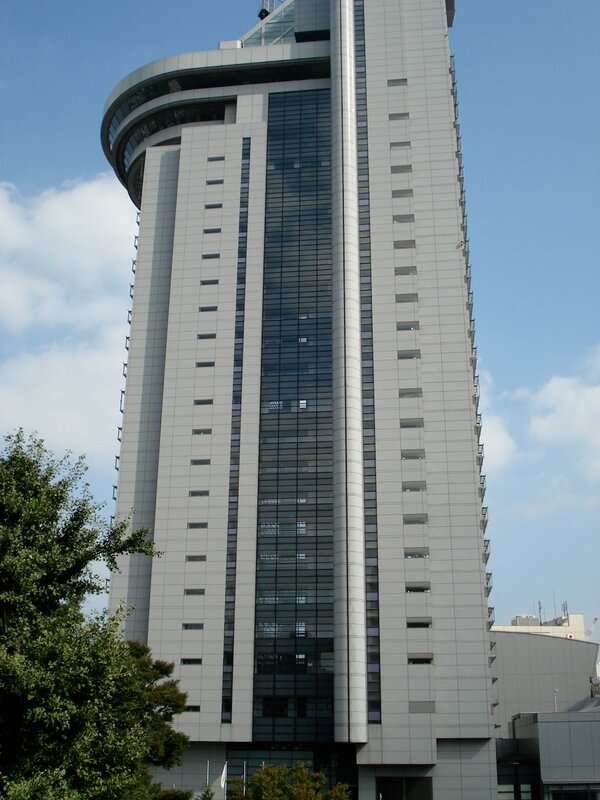 The Bunkyo-ku Ward offices are north of Tokyo Dome. There is a free observatory on the 25th floor. Open 9:00-20:30. Closed Dec 29 to Jan 3. The offices can be seen prominately from the Korakuen Gardens. 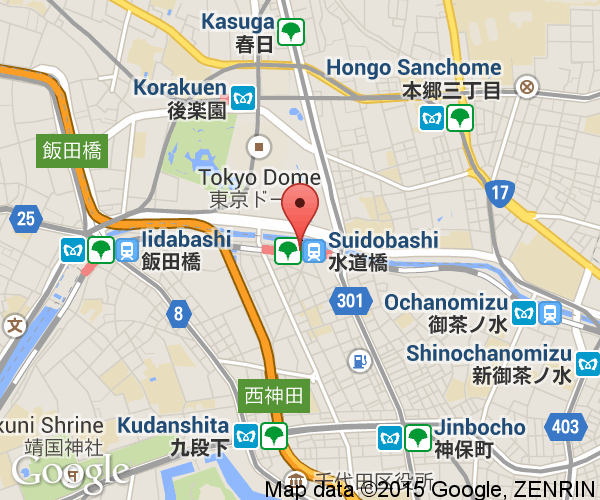 Located close to Korakuen Station on the Tokyo Metro Marunouchi Line and Namboku Line. Kanda's oldest Roman Catholic church in Kanda is on the south side of the Kanda river to the east of Suidobashi Station. 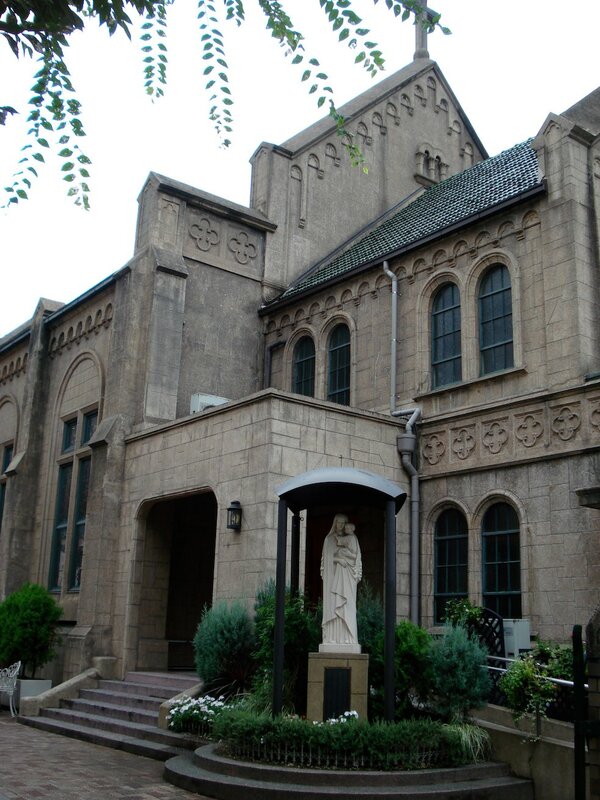 It is a small stone building (70 m2) and is most noteworthy for its stain glass windows that tell the history of christianity and the history of the religion in Japan. This 17.5 acre garden was first laid out in 1629 by the head of the Tokugawa family, Yorifusa Mito, and later completed by his successor. Chinese culture significantly influenced the design and the layout is said to contain miniature representations of classical Japanese and Chinese landscapes. It is the oldest surviving Diayamo garden in Tokyo and is typical of the stroll gardens of the Edo period. 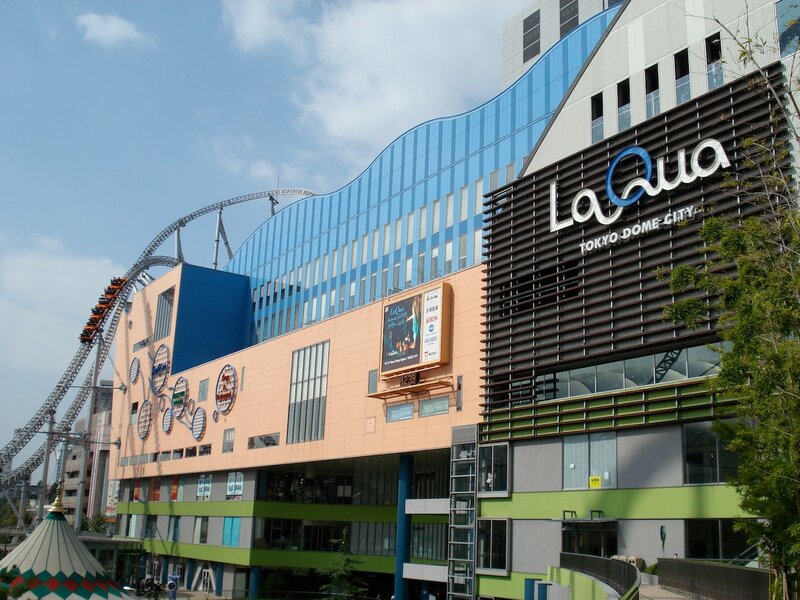 LaQua is a decent sized mall beside Tokyo Dome with amusement rides and attractions are built into it. It's not the best shopping mall as more than half of it is taken up by restaurants. Ichiran's famous ramen from Fukuoka City on Kyushu has a store on the second floor. LaQua spa takes up 5 stories above the mall and is one of the most popular in the middle of Tokyo. The basic includes a towel and a license to bathe. The water comes from a natural source called the Koishikawa Hot Springs. Extra is charge on holidays and after midnight. Open year round from 11 am to 9 am (22 hours). Tokyo Dome is home to the Tokyo Giants baseball team and is host to numerous big name concerts, shows and conferences throughout the year. A baseball hall of fame is located on east side near the entrance to LaQua. The giant inflated dome is nicknamed the "big egg." The owners, Tokyo Dome Group, celebrated the 70th anniversary of their establishment in 2007. JR Suidobashi Station and the Marunouchi subway's Korakuen Station are both close to Tokyo Dome and its surrounding attractions. 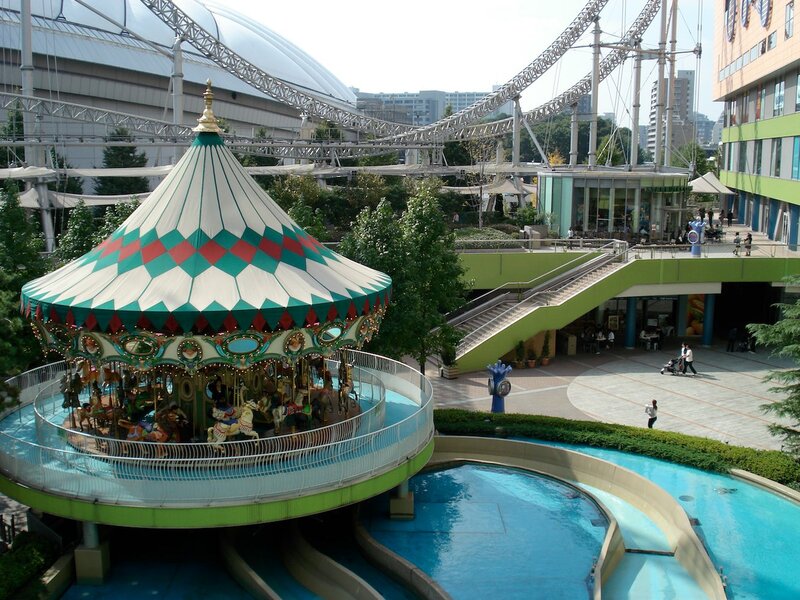 Tokyo Dome City is an extension of the dome that includes stores, amusement rides, horse race betting and LaQua. The rides have had a number of safety problems in the past. 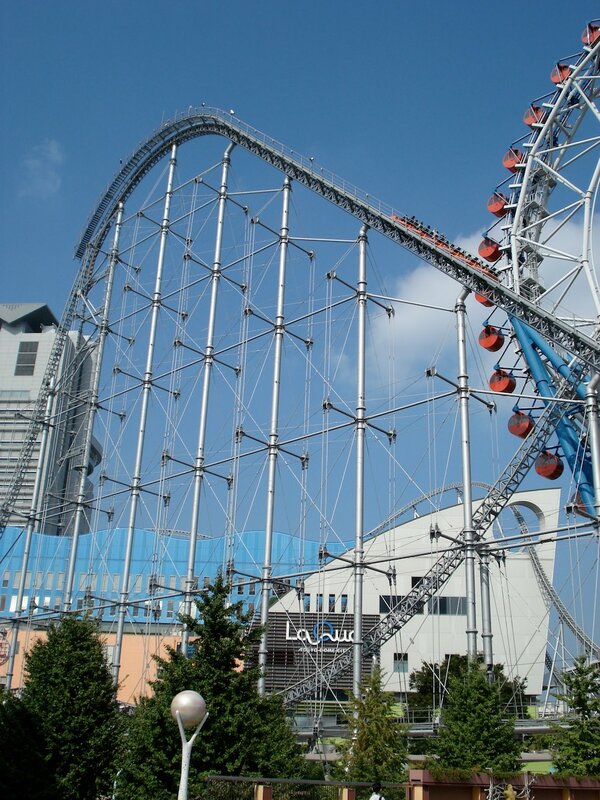 Attractions at LaQua include the Wonder Drop (log ride), Big O (world's first center-less Ferris wheel), The 13 Doors (haunted house) and the Venus Lagoon with a merry-go-round. By far, the most impressive attraction is Thunder Dolphin, a high speed roller coaster that runs around LaQua and through a hole in the building and the Ferris wheel. 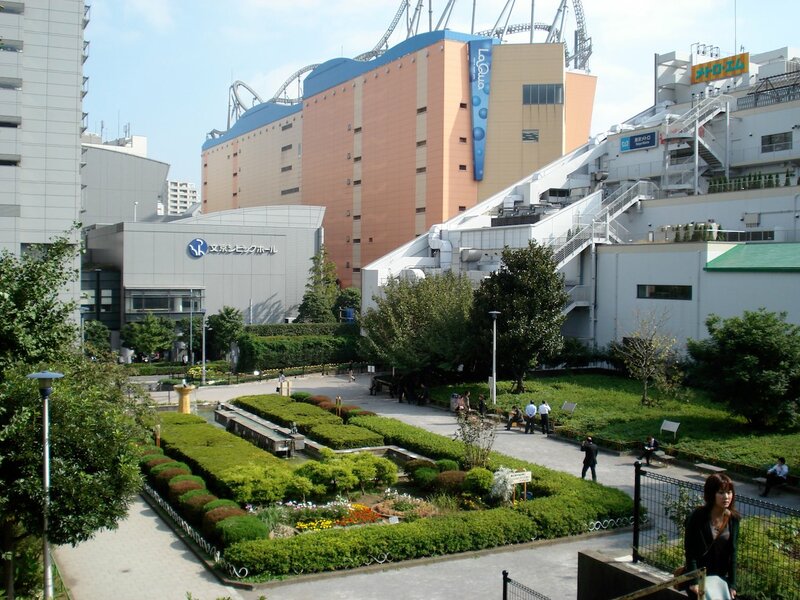 There are a number of other attractions in front of LaQua. These include a parachute drop ride, car ride and a "U" shaped stationary roller coaster. There are no shortage of routes to take to get here. If there is a particularly close station to an attraction then it is noted above. Korakuen Station on the Tokyo Metro Marunouchi Line and Namboku Line is closest to most of the attractions in the area. From Shinjuku or Akihabara, the quickest way is on JR's Sobu Line trains. From Shinjuku, taking the orange express service trains and switching to the local before JR Suidobashi Station will save some time. See the Koishikawa Korakuen Gardens page for specific information about going there.